Inspired by some fragments of an old Roman sandal found in museum archives. Also in solo exhibition at Brux Musee France 2008. 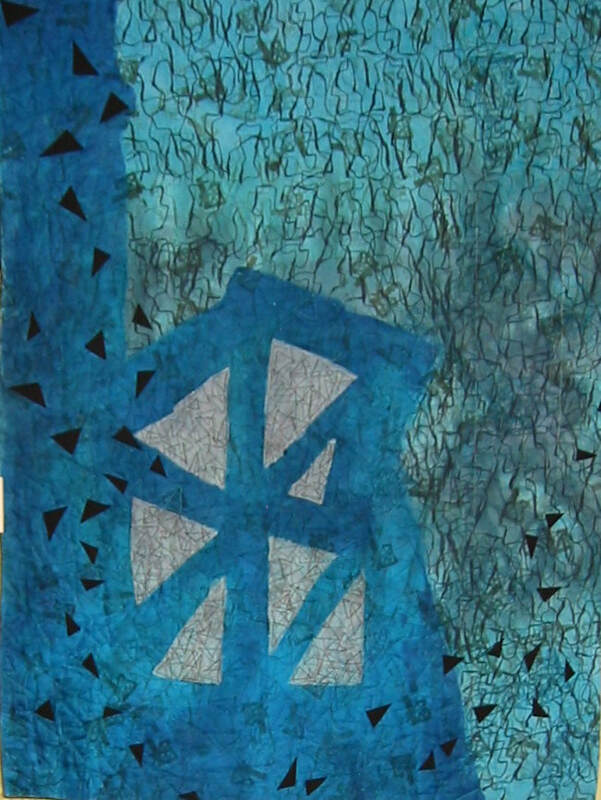 ​This piece was created when I was learning about hand-dying, screen printing and fabric painting to create depth and interest in a piece of cotton fabric. The inspiration was a fragile piece of leather, originally a Roman sandal, which I found in the archives of the Northampton Show Museum. Drawn by the shape and the murky grey colour of the fabric, my imagination travelled to the smoky chimneys of industrial England which polluted the atmosphere in the last century and the eruptions of volcanic ash from the active Mount Vesuvius on the Gulf of Naples in Italy.